Cn. 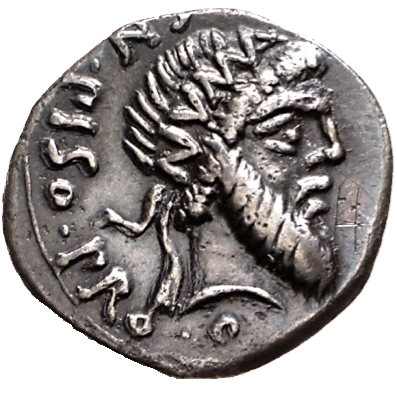 Calpurnius Piso was Proquaestor in 49 BC, and struck coins jointly with Pompeius Magnus. He was later appointed as the replacement consul in 23 BC. ”Give me a guarantee that you will not wage a civil war against the Republic if you are prosecuted, and I shall at once send the jurymen to convict you and send you into exile rather than Manilius."